Unfortunately, there was nothing on the other side to make crossing this bridge exciting. 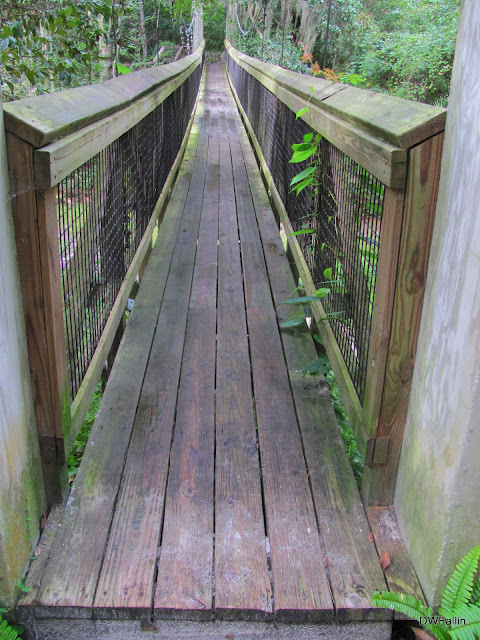 The creek was dried, no exotic plants or flowers; no visible wildlife, just drizzly rain drops and wetness and over grown vines that were starting to cover the rails. 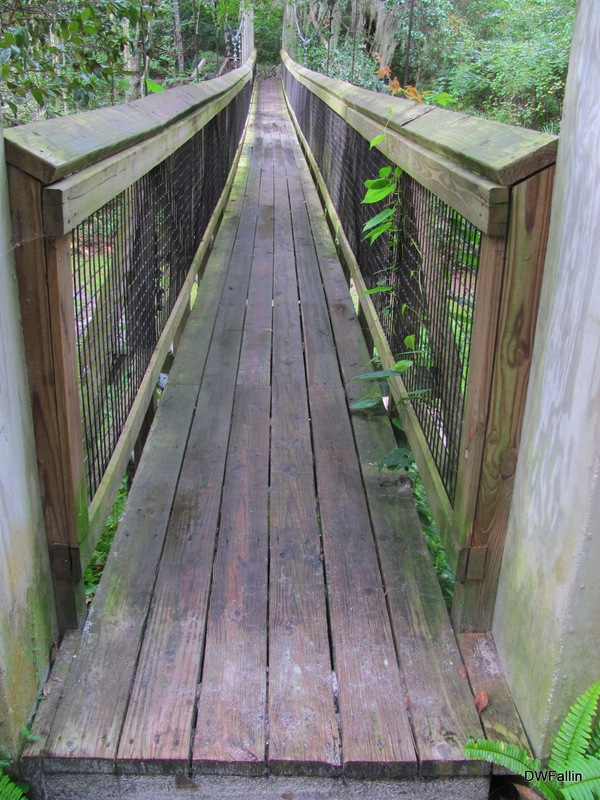 If not maintained, there will not be an opportunity in the near future to walk across an old Floridian rustic swinging bridge at this park.